"Scientific research" redirects here. For the publisher, see Scientific Research Publishing. For other uses, see Scientific method (disambiguation). For broader coverage of this topic, see Research. 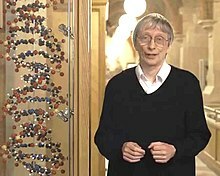 Model of DNA with David Deutsch, proponent of invariant scientific explanations. See § DNA example below. The scientific method is an empirical method of acquiring knowledge that has characterized the development of science since at least the 17th century. It involves careful observation, applying rigorous skepticism about what is observed, given that cognitive assumptions can distort how one interprets the observation. It involves formulating hypotheses, via induction, based on such observations; experimental and measurement-based testing of deductions drawn from the hypotheses; and refinement (or elimination) of the hypotheses based on the experimental findings. These are principles of the scientific method, as distinguished from a definitive series of steps applicable to all scientific enterprises. Though diverse models for the scientific method are available, there is in general a continuous process that includes observations about the natural world. People are naturally inquisitive, so they often come up with questions about things they see or hear, and they often develop ideas or hypotheses about why things are the way they are. The best hypotheses lead to predictions that can be tested in various ways. The most conclusive testing of hypotheses comes from reasoning based on carefully controlled experimental data. Depending on how well additional tests match the predictions, the original hypothesis may require refinement, alteration, expansion or even rejection. If a particular hypothesis becomes very well supported, a general theory may be developed. Although procedures vary from one field of inquiry to another, they are frequently the same from one to another. The process of the scientific method involves making conjectures (hypotheses), deriving predictions from them as logical consequences, and then carrying out experiments or empirical observations based on those predictions. A hypothesis is a conjecture, based on knowledge obtained while seeking answers to the question. The hypothesis might be very specific, or it might be broad. Scientists then test hypotheses by conducting experiments or studies. A scientific hypothesis must be falsifiable, implying that it is possible to identify a possible outcome of an experiment or observation that conflicts with predictions deduced from the hypothesis; otherwise, the hypothesis cannot be meaningfully tested. The purpose of an experiment is to determine whether observations agree with or conflict with the predictions derived from a hypothesis. Experiments can take place anywhere from a garage to CERN's Large Hadron Collider. There are difficulties in a formulaic statement of method, however. Though the scientific method is often presented as a fixed sequence of steps, it represents rather a set of general principles. Not all steps take place in every scientific inquiry (nor to the same degree), and they are not always in the same order. Some philosophers and scientists have argued that there is no scientific method; they include physicist Lee Smolin and philosopher Paul Feyerabend (in his Against Method). Robert Nola and Howard Sankey remark that "For some, the whole idea of a theory of scientific method is yester-year's debate, the continuation of which can be summed up as yet more of the proverbial deceased equine castigation. We beg to differ." Ibn al-Haytham (Alhazen), 965–1039 Iraq. A polymath, considered by some to be the father of modern scientific methodology, due to his emphasis on experimental data and reproducibility of its results. Important debates in the history of science concern rationalism, especially as advocated by René Descartes; inductivism and/or empiricism, as argued for by Francis Bacon, and rising to particular prominence with Isaac Newton and his followers; and hypothetico-deductivism, which came to the fore in the early 19th century. The term "scientific method" emerged in the 19th century, when a significant institutional development of science was taking place and terminologies establishing clear boundaries between science and non-science, such as "scientist" and "pseudoscience", appeared. Throughout the 1830s and 1850s, by which time Baconianism was popular, naturalists like William Whewell, John Herschel, John Stuart Mill engaged in debates over "induction" and "facts" and were focused on how to generate knowledge. In the late 19th and early 20th centuries, a debate over realism vs. antirealism was conducted as powerful scientific theories extended beyond the realm of the observable. The term "scientific method" came into popular use in the twentieth century, popping up in dictionaries and science textbooks, although there was little scientific consensus over its meaning. Although there was a growth through the middle of the twentieth century, by the end of that century numerous influential philosophers of science like Thomas Kuhn and Paul Feyerabend had questioned the universality of the "scientific method" and in doing so largely replaced the notion of science as a homogeneous and universal method with that of it being a heterogeneous and local practice. In particular, Paul Feyerabend argued against there being any universal rules of science. Historian of science Daniel Thurs maintains that the scientific method is a myth or, at best, an idealization. The DNA example below is a synopsis of this method. The scientific method is the process by which science is carried out. As in other areas of inquiry, science (through the scientific method) can build on previous knowledge and develop a more sophisticated understanding of its topics of study over time. This model can be seen to underlie the scientific revolution. The ubiquitous element in the model of the scientific method is empiricism, or more precisely, epistemologic sensualism. This is in opposition to stringent forms of rationalism: the scientific method embodies that reason alone cannot solve a particular scientific problem. A strong formulation of the scientific method is not always aligned with a form of empiricism in which the empirical data is put forward in the form of experience or other abstracted forms of knowledge; in current scientific practice, however, the use of scientific modelling and reliance on abstract typologies and theories is normally accepted. The scientific method is of necessity also an expression of an opposition to claims that e.g. revelation, political or religious dogma, appeals to tradition, commonly held beliefs, common sense, or, importantly, currently held theories, are the only possible means of demonstrating truth. Different early expressions of empiricism and the scientific method can be found throughout history, for instance with the ancient Stoics, Epicurus, Alhazen, Roger Bacon, and William of Ockham. From the 16th century onwards, experiments were advocated by Francis Bacon, and performed by Giambattista della Porta, Johannes Kepler, and Galileo Galilei. There was particular development aided by theoretical works by Francisco Sanches, John Locke, George Berkeley, and David Hume. The hypothetico-deductive model formulated in the 20th century, is the ideal although it has undergone significant revision since first proposed (for a more formal discussion, see below). Staddon (2017) argues it is a mistake to try following rules which are best learned through careful study of examples of scientific investigation. The overall process involves making conjectures (hypotheses), deriving predictions from them as logical consequences, and then carrying out experiments based on those predictions to determine whether the original conjecture was correct. There are difficulties in a formulaic statement of method, however. Though the scientific method is often presented as a fixed sequence of steps, these actions are better considered as general principles. Not all steps take place in every scientific inquiry (nor to the same degree), and they are not always done in the same order. As noted by scientist and philosopher William Whewell (1794–1866), "invention, sagacity, [and] genius" are required at every step. The question can refer to the explanation of a specific observation, as in "Why is the sky blue?" but can also be open-ended, as in "How can I design a drug to cure this particular disease?" This stage frequently involves finding and evaluating evidence from previous experiments, personal scientific observations or assertions, as well as the work of other scientists. If the answer is already known, a different question that builds on the evidence can be posed. When applying the scientific method to research, determining a good question can be very difficult and it will affect the outcome of the investigation. A hypothesis is a conjecture, based on knowledge obtained while formulating the question, that may explain any given behavior. The hypothesis might be very specific; for example, Einstein's equivalence principle or Francis Crick's "DNA makes RNA makes protein", or it might be broad; for example, unknown species of life dwell in the unexplored depths of the oceans. A statistical hypothesis is a conjecture about a given statistical population. For example, the population might be people with a particular disease. The conjecture might be that a new drug will cure the disease in some of those people. Terms commonly associated with statistical hypotheses are null hypothesis and alternative hypothesis. A null hypothesis is the conjecture that the statistical hypothesis is false; for example, that the new drug does nothing and that any cure is caused by chance. Researchers normally want to show that the null hypothesis is false. The alternative hypothesis is the desired outcome, that the drug does better than chance. A final point: a scientific hypothesis must be falsifiable, meaning that one can identify a possible outcome of an experiment that conflicts with predictions deduced from the hypothesis; otherwise, it cannot be meaningfully tested. This step involves determining the logical consequences of the hypothesis. One or more predictions are then selected for further testing. The more unlikely that a prediction would be correct simply by coincidence, then the more convincing it would be if the prediction were fulfilled; evidence is also stronger if the answer to the prediction is not already known, due to the effects of hindsight bias (see also postdiction). Ideally, the prediction must also distinguish the hypothesis from likely alternatives; if two hypotheses make the same prediction, observing the prediction to be correct is not evidence for either one over the other. (These statements about the relative strength of evidence can be mathematically derived using Bayes' Theorem). This is an investigation of whether the real world behaves as predicted by the hypothesis. Scientists (and other people) test hypotheses by conducting experiments. The purpose of an experiment is to determine whether observations of the real world agree with or conflict with the predictions derived from a hypothesis. If they agree, confidence in the hypothesis increases; otherwise, it decreases. Agreement does not assure that the hypothesis is true; future experiments may reveal problems. Karl Popper advised scientists to try to falsify hypotheses, i.e., to search for and test those experiments that seem most doubtful. Large numbers of successful confirmations are not convincing if they arise from experiments that avoid risk. Experiments should be designed to minimize possible errors, especially through the use of appropriate scientific controls. For example, tests of medical treatments are commonly run as double-blind tests. Test personnel, who might unwittingly reveal to test subjects which samples are the desired test drugs and which are placebos, are kept ignorant of which are which. Such hints can bias the responses of the test subjects. Furthermore, failure of an experiment does not necessarily mean the hypothesis is false. Experiments always depend on several hypotheses, e.g., that the test equipment is working properly, and a failure may be a failure of one of the auxiliary hypotheses. (See the Duhem–Quine thesis.) Experiments can be conducted in a college lab, on a kitchen table, at CERN's Large Hadron Collider, at the bottom of an ocean, on Mars (using one of the working rovers), and so on. Astronomers do experiments, searching for planets around distant stars. Finally, most individual experiments address highly specific topics for reasons of practicality. As a result, evidence about broader topics is usually accumulated gradually. This involves determining what the results of the experiment show and deciding on the next actions to take. The predictions of the hypothesis are compared to those of the null hypothesis, to determine which is better able to explain the data. In cases where an experiment is repeated many times, a statistical analysis such as a chi-squared test may be required. If the evidence has falsified the hypothesis, a new hypothesis is required; if the experiment supports the hypothesis but the evidence is not strong enough for high confidence, other predictions from the hypothesis must be tested. Once a hypothesis is strongly supported by evidence, a new question can be asked to provide further insight on the same topic. Evidence from other scientists and experience are frequently incorporated at any stage in the process. Depending on the complexity of the experiment, many iterations may be required to gather sufficient evidence to answer a question with confidence, or to build up many answers to highly specific questions in order to answer a single broader question. Hypothesis: Linus Pauling, Francis Crick and James D. Watson hypothesized that DNA had a helical structure. Prediction: If DNA had a helical structure, its X-ray diffraction pattern would be X-shaped. This prediction was determined using the mathematics of the helix transform, which had been derived by Cochran, Crick and Vand (and independently by Stokes). This prediction was a mathematical construct, completely independent from the biological problem at hand. Analysis: When Watson saw the detailed diffraction pattern, he immediately recognized it as a helix. He and Crick then produced their model, using this information along with the previously known information about DNA's composition and about molecular interactions such as hydrogen bonds. If an experiment cannot be repeated to produce the same results, this implies that the original results might have been in error. As a result, it is common for a single experiment to be performed multiple times, especially when there are uncontrolled variables or other indications of experimental error. For significant or surprising results, other scientists may also attempt to replicate the results for themselves, especially if those results would be important to their own work. The process of peer review involves evaluation of the experiment by experts, who typically give their opinions anonymously. Some journals request that the experimenter provide lists of possible peer reviewers, especially if the field is highly specialized. Peer review does not certify correctness of the results, only that, in the opinion of the reviewer, the experiments themselves were sound (based on the description supplied by the experimenter). If the work passes peer review, which occasionally may require new experiments requested by the reviewers, it will be published in a peer-reviewed scientific journal. The specific journal that publishes the results indicates the perceived quality of the work. Scientists typically are careful in recording their data, a requirement promoted by Ludwik Fleck (1896–1961) and others. Though not typically required, they might be requested to supply this data to other scientists who wish to replicate their original results (or parts of their original results), extending to the sharing of any experimental samples that may be difficult to obtain. Scientific inquiry generally aims to obtain knowledge in the form of testable explanations that scientists can use to predict the results of future experiments. This allows scientists to gain a better understanding of the topic under study, and later to use that understanding to intervene in its causal mechanisms (such as to cure disease). The better an explanation is at making predictions, the more useful it frequently can be, and the more likely it will continue to explain a body of evidence better than its alternatives. The most successful explanations – those which explain and make accurate predictions in a wide range of circumstances – are often called scientific theories. Most experimental results do not produce large changes in human understanding; improvements in theoretical scientific understanding typically result from a gradual process of development over time, sometimes across different domains of science. Scientific models vary in the extent to which they have been experimentally tested and for how long, and in their acceptance in the scientific community. In general, explanations become accepted over time as evidence accumulates on a given topic, and the explanation in question proves more powerful than its alternatives at explaining the evidence. Often subsequent researchers re-formulate the explanations over time, or combined explanations to produce new explanations. Tow sees the scientific method in terms of an evolutionary algorithm applied to science and technology. Scientific knowledge is closely tied to empirical findings, and can remain subject to falsification if new experimental observation incompatible with it is found. That is, no theory can ever be considered final, since new problematic evidence might be discovered. If such evidence is found, a new theory may be proposed, or (more commonly) it is found that modifications to the previous theory are sufficient to explain the new evidence. 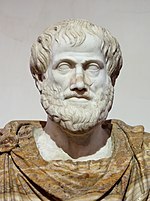 The strength of a theory can be argued[by whom?] to relate to how long it has persisted without major alteration to its core principles. Theories can also become subsumed by other theories. For example, Newton's laws explained thousands of years of scientific observations of the planets almost perfectly. However, these laws were then determined to be special cases of a more general theory (relativity), which explained both the (previously unexplained) exceptions to Newton's laws and predicted and explained other observations such as the deflection of light by gravity. Thus, in certain cases independent, unconnected, scientific observations can be connected to each other, unified by principles of increasing explanatory power. Since new theories might be more comprehensive than what preceded them, and thus be able to explain more than previous ones, successor theories might be able to meet a higher standard by explaining a larger body of observations than their predecessors. For example, the theory of evolution explains the diversity of life on Earth, how species adapt to their environments, and many other patterns observed in the natural world; its most recent major modification was unification with genetics to form the modern evolutionary synthesis. In subsequent modifications, it has also subsumed aspects of many other fields such as biochemistry and molecular biology. Muybridge's photographs of The Horse in Motion, 1878, were used to answer the question whether all four feet of a galloping horse are ever off the ground at the same time. This demonstrates a use of photography as an experimental tool in science. Scientific methodology often directs that hypotheses be tested in controlled conditions wherever possible. This is frequently possible in certain areas, such as in the biological sciences, and more difficult in other areas, such as in astronomy. The practice of experimental control and reproducibility can have the effect of diminishing the potentially harmful effects of circumstance, and to a degree, personal bias. For example, pre-existing beliefs can alter the interpretation of results, as in confirmation bias; this is a heuristic that leads a person with a particular belief to see things as reinforcing their belief, even if another observer might disagree (in other words, people tend to observe what they expect to observe). 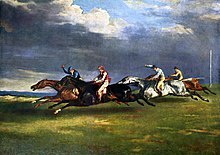 A historical example is the belief that the legs of a galloping horse are splayed at the point when none of the horse's legs touches the ground, to the point of this image being included in paintings by its supporters. However, the first stop-action pictures of a horse's gallop by Eadweard Muybridge showed this to be false, and that the legs are instead gathered together. Another important human bias that plays a role is a preference for new, surprising statements (see appeal to novelty), which can result in a search for evidence that the new is true. Poorly attested beliefs can be believed and acted upon via a less rigorous heuristic. Goldhaber and Nieto published in 2010 the observation that if theoretical structures with "many closely neighboring subjects are described by connecting theoretical concepts then the theoretical structure .. becomes increasingly hard to overturn". When a narrative is constructed its elements become easier to believe. For more on the narrative fallacy, see also Fleck 1979, p. 27: "Words and ideas are originally phonetic and mental equivalences of the experiences coinciding with them. ... Such proto-ideas are at first always too broad and insufficiently specialized. ... Once a structurally complete and closed system of opinions consisting of many details and relations has been formed, it offers enduring resistance to anything that contradicts it." Sometimes, these have their elements assumed a priori, or contain some other logical or methodological flaw in the process that ultimately produced them. Donald M. MacKay has analyzed these elements in terms of limits to the accuracy of measurement and has related them to instrumental elements in a category of measurement. The scientific method is not a single recipe: it requires intelligence, imagination, and creativity. In this sense, it is not a mindless set of standards and procedures to follow, but is rather an ongoing cycle, constantly developing more useful, accurate and comprehensive models and methods. For example, when Einstein developed the Special and General Theories of Relativity, he did not in any way refute or discount Newton's Principia. On the contrary, if the astronomically large, the vanishingly small, and the extremely fast are removed from Einstein's theories – all phenomena Newton could not have observed – Newton's equations are what remain. Einstein's theories are expansions and refinements of Newton's theories and, thus, increase confidence in Newton's work. While this schema outlines a typical hypothesis/testing method, it should also be noted that a number of philosophers, historians, and sociologists of science, including Paul Feyerabend, claim that such descriptions of scientific method have little relation to the ways that science is actually practiced. The systematic, careful collection of measurements or counts of relevant quantities is often the critical difference between pseudo-sciences, such as alchemy, and science, such as chemistry or biology. Scientific measurements are usually tabulated, graphed, or mapped, and statistical manipulations, such as correlation and regression, performed on them. The measurements might be made in a controlled setting, such as a laboratory, or made on more or less inaccessible or unmanipulatable objects such as stars or human populations. The measurements often require specialized scientific instruments such as thermometers, spectroscopes, particle accelerators, or voltmeters, and the progress of a scientific field is usually intimately tied to their invention and improvement. I am not accustomed to saying anything with certainty after only one or two observations. Measurements demand the use of operational definitions of relevant quantities. That is, a scientific quantity is described or defined by how it is measured, as opposed to some more vague, inexact or "idealized" definition. For example, electric current, measured in amperes, may be operationally defined in terms of the mass of silver deposited in a certain time on an electrode in an electrochemical device that is described in some detail. The operational definition of a thing often relies on comparisons with standards: the operational definition of "mass" ultimately relies on the use of an artifact, such as a particular kilogram of platinum-iridium kept in a laboratory in France. The characterization element can require extended and extensive study, even centuries. It took thousands of years of measurements, from the Chaldean, Indian, Persian, Greek, Arabic and European astronomers, to fully record the motion of planet Earth. Newton was able to include those measurements into consequences of his laws of motion. But the perihelion of the planet Mercury's orbit exhibits a precession that cannot be fully explained by Newton's laws of motion (see diagram to the right), as Leverrier pointed out in 1859. The observed difference for Mercury's precession between Newtonian theory and observation was one of the things that occurred to Albert Einstein as a possible early test of his theory of General relativity. His relativistic calculations matched observation much more closely than did Newtonian theory. The difference is approximately 43 arc-seconds per century. A hypothesis is a suggested explanation of a phenomenon, or alternately a reasoned proposal suggesting a possible correlation between or among a set of phenomena. Scientists are free to use whatever resources they have – their own creativity, ideas from other fields, inductive reasoning, Bayesian inference, and so on – to imagine possible explanations for a phenomenon under study. Albert Einstein once observed that "there is no logical bridge between phenomena and their theoretical principles." Charles Sanders Peirce, borrowing a page from Aristotle (Prior Analytics, 2.25) described the incipient stages of inquiry, instigated by the "irritation of doubt" to venture a plausible guess, as abductive reasoning. The history of science is filled with stories of scientists claiming a "flash of inspiration", or a hunch, which then motivated them to look for evidence to support or refute their idea. Michael Polanyi made such creativity the centerpiece of his discussion of methodology. the success of a hypothesis, or its service to science, lies not simply in its perceived "truth", or power to displace, subsume or reduce a predecessor idea, but perhaps more in its ability to stimulate the research that will illuminate ... bald suppositions and areas of vagueness. To minimize the confirmation bias which results from entertaining a single hypothesis, strong inference emphasizes the need for entertaining multiple alternative hypotheses. If the predictions are not accessible by observation or experience, the hypothesis is not yet testable and so will remain to that extent unscientific in a strict sense. A new technology or theory might make the necessary experiments feasible. For example, while a hypothesis on the existence of other intelligent species may be convincing with scientifically based speculation, there is no known experiment that can test this hypothesis. Therefore, science itself can have little to say about the possibility. In future, a new technique may allow for an experimental test and the speculation would then become part of accepted science. James D. Watson, Francis Crick, and others hypothesized that DNA had a helical structure. This implied that DNA's X-ray diffraction pattern would be 'x shaped'. This prediction followed from the work of Cochran, Crick and Vand (and independently by Stokes). 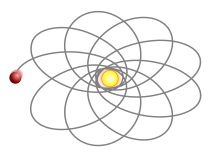 The Cochran-Crick-Vand-Stokes theorem provided a mathematical explanation for the empirical observation that diffraction from helical structures produces x shaped patterns. The hypothetico-deductive model or method is a proposed description of scientific method. Here, predictions from the hypothesis are central: if you assume the hypothesis to be true, what consequences follow? If subsequent empirical investigation does not demonstrate that these consequences or predictions correspond to the observable world, the hypothesis can be concluded to be false. For Peirce, rational inquiry implies presuppositions about truth and the real; to reason is to presuppose (and at least to hope), as a principle of the reasoner's self-regulation, that the real is discoverable and independent of our vagaries of opinion. In that vein he defined truth as the correspondence of a sign (in particular, a proposition) to its object and, pragmatically, not as actual consensus of some definite, finite community (such that to inquire would be to poll the experts), but instead as that final opinion which all investigators would reach sooner or later but still inevitably, if they were to push investigation far enough, even when they start from different points. In tandem he defined the real as a true sign's object (be that object a possibility or quality, or an actuality or brute fact, or a necessity or norm or law), which is what it is independently of any finite community's opinion and, pragmatically, depends only on the final opinion destined in a sufficient investigation. That is a destination as far, or near, as the truth itself to you or me or the given finite community. Thus, his theory of inquiry boils down to "Do the science." Those conceptions of truth and the real involve the idea of a community both without definite limits (and thus potentially self-correcting as far as needed) and capable of definite increase of knowledge. As inference, "logic is rooted in the social principle" since it depends on a standpoint that is, in a sense, unlimited. Abduction (or retroduction). Guessing, inference to explanatory hypotheses for selection of those best worth trying. From abduction, Peirce distinguishes induction as inferring, on the basis of tests, the proportion of truth in the hypothesis. Every inquiry, whether into ideas, brute facts, or norms and laws, arises from surprising observations in one or more of those realms (and for example at any stage of an inquiry already underway). All explanatory content of theories comes from abduction, which guesses a new or outside idea so as to account in a simple, economical way for a surprising or complicative phenomenon. Oftenest, even a well-prepared mind guesses wrong. But the modicum of success of our guesses far exceeds that of sheer luck and seems born of attunement to nature by instincts developed or inherent, especially insofar as best guesses are optimally plausible and simple in the sense, said Peirce, of the "facile and natural", as by Galileo's natural light of reason and as distinct from "logical simplicity". Abduction is the most fertile but least secure mode of inference. Its general rationale is inductive: it succeeds often enough and, without it, there is no hope of sufficiently expediting inquiry (often multi-generational) toward new truths. Coordinative method leads from abducing a plausible hypothesis to judging it for its testability and for how its trial would economize inquiry itself. Peirce calls his pragmatism "the logic of abduction". His pragmatic maxim is: "Consider what effects that might conceivably have practical bearings you conceive the objects of your conception to have. Then, your conception of those effects is the whole of your conception of the object". His pragmatism is a method of reducing conceptual confusions fruitfully by equating the meaning of any conception with the conceivable practical implications of its object's conceived effects – a method of experimentational mental reflection hospitable to forming hypotheses and conducive to testing them. It favors efficiency. The hypothesis, being insecure, needs to have practical implications leading at least to mental tests and, in science, lending themselves to scientific tests. A simple but unlikely guess, if uncostly to test for falsity, may belong first in line for testing. A guess is intrinsically worth testing if it has instinctive plausibility or reasoned objective probability, while subjective likelihood, though reasoned, can be misleadingly seductive. Guesses can be chosen for trial strategically, for their caution (for which Peirce gave as example the game of Twenty Questions), breadth, and incomplexity. One can hope to discover only that which time would reveal through a learner's sufficient experience anyway, so the point is to expedite it; the economy of research is what demands the leap, so to speak, of abduction and governs its art. Explication. Unclearly premissed, but deductive, analysis of the hypothesis in order to render its parts as clear as possible. Demonstration: Deductive Argumentation, Euclidean in procedure. Explicit deduction of hypothesis's consequences as predictions, for induction to test, about evidence to be found. Corollarial or, if needed, theorematic. Classification. Unclearly premissed, but inductive, classing of objects of experience under general ideas. Probation: direct inductive argumentation. Crude (the enumeration of instances) or gradual (new estimate of proportion of truth in the hypothesis after each test). Gradual induction is qualitative or quantitative; if qualitative, then dependent on weightings of qualities or characters; if quantitative, then dependent on measurements, or on statistics, or on countings. Sentential Induction. "...which, by inductive reasonings, appraises the different probations singly, then their combinations, then makes self-appraisal of these very appraisals themselves, and passes final judgment on the whole result". Science applied to complex systems can involve elements such as transdisciplinarity, systems theory and scientific modelling. The Santa Fe Institute studies such systems; Murray Gell-Mann interconnects these topics with message passing. In general, the scientific method may be difficult to apply stringently to diverse, interconnected systems and large data sets. In particular, practices used within Big data, such as predictive analytics, may be considered to be at odds with the scientific method. Frequently the scientific method is employed not only by a single person, but also by several people cooperating directly or indirectly. Such cooperation can be regarded as an important element of a scientific community. Various standards of scientific methodology are used within such an environment. Scientific journals use a process of peer review, in which scientists' manuscripts are submitted by editors of scientific journals to (usually one to three, and usually anonymous) fellow scientists familiar with the field for evaluation. In certain journals, the journal itself selects the referees; while in others (especially journals that are extremely specialized), the manuscript author might recommend referees. The referees may or may not recommend publication, or they might recommend publication with suggested modifications, or sometimes, publication in another journal. This standard is practiced to various degrees by different journals, and can have the effect of keeping the literature free of obvious errors and to generally improve the quality of the material, especially in the journals who use the standard most rigorously. The peer review process can have limitations when considering research outside the conventional scientific paradigm: problems of "groupthink" can interfere with open and fair deliberation of some new research. Sometimes experimenters may make systematic errors during their experiments, veer from standard methods and practices (Pathological science) for various reasons, or, in rare cases, deliberately report false results. Occasionally because of this then, other scientists might attempt to repeat the experiments in order to duplicate the results. Researchers sometimes practice scientific data archiving, such as in compliance with the policies of government funding agencies and scientific journals. In these cases, detailed records of their experimental procedures, raw data, statistical analyses and source code can be preserved in order to provide evidence of the methodology and practice of the procedure and assist in any potential future attempts to reproduce the result. These procedural records may also assist in the conception of new experiments to test the hypothesis, and may prove useful to engineers who might examine the potential practical applications of a discovery. When additional information is needed before a study can be reproduced, the author of the study might be asked to provide it. They might provide it, or if the author refuses to share data, appeals can be made to the journal editors who published the study or to the institution which funded the research. Both of these constraints indirectly require scientific method – work that violates the constraints will be difficult to publish and difficult to get funded. Journals require submitted papers to conform to "good scientific practice" and to a degree this can be enforced by peer review. Originality, importance and interest are more important – see for example the author guidelines for Nature. Smaldino and McElreath 2016 have noted that our need to reward scientific understanding is being nullified by poor research design and poor data analysis, which is leading to false-positive findings. Philosophy of science looks at the underpinning logic of the scientific method, at what separates science from non-science, and the ethic that is implicit in science. There are basic assumptions, derived from philosophy by at least one prominent scientist, that form the base of the scientific method – namely, that reality is objective and consistent, that humans have the capacity to perceive reality accurately, and that rational explanations exist for elements of the real world. These assumptions from methodological naturalism form a basis on which science may be grounded. Logical Positivist, empiricist, falsificationist, and other theories have criticized these assumptions and given alternative accounts of the logic of science, but each has also itself been criticized. In anthropology, following the anthropological fieldworks in an academic scientific laboratory by Latour and Woolgar, Karin Knorr Cetina has conducted a comparative anthropological study of two scientific fields (namely high energy physics and molecular biology) to conclude that the epistemic practices and reasonings within both scientific communities are different enough to introduce the concept of "epistemic cultures", in contradiction with the idea that a so-called "scientific method" is unique and a unifying concept. Somewhere between 33% and 50% of all scientific discoveries are estimated to have been stumbled upon, rather than sought out. This may explain why scientists so often express that they were lucky. Louis Pasteur is credited with the famous saying that "Luck favours the prepared mind", but some psychologists have begun to study what it means to be 'prepared for luck' in the scientific context. Research is showing that scientists are taught various heuristics that tend to harness chance and the unexpected. This is what Nassim Nicholas Taleb calls "Anti-fragility"; while some systems of investigation are fragile in the face of human error, human bias, and randomness, the scientific method is more than resistant or tough – it actually benefits from such randomness in many ways (it is anti-fragile). Taleb believes that the more anti-fragile the system, the more it will flourish in the real world. Psychologist Kevin Dunbar says the process of discovery often starts with researchers finding bugs in their experiments. These unexpected results lead researchers to try to fix what they think is an error in their method. Eventually, the researcher decides the error is too persistent and systematic to be a coincidence. The highly controlled, cautious and curious aspects of the scientific method are thus what make it well suited for identifying such persistent systematic errors. At this point, the researcher will begin to think of theoretical explanations for the error, often seeking the help of colleagues across different domains of expertise. Science is the process of gathering, comparing, and evaluating proposed models against observables. A model can be a simulation, mathematical or chemical formula, or set of proposed steps. Science is like mathematics in that researchers in both disciplines try to distinguish what is known from what is unknown at each stage of discovery. Models, in both science and mathematics, need to be internally consistent and also ought to be falsifiable (capable of disproof). In mathematics, a statement need not yet be proven; at such a stage, that statement would be called a conjecture. But when a statement has attained mathematical proof, that statement gains a kind of immortality which is highly prized by mathematicians, and for which some mathematicians devote their lives. Lakatos proposed an account of mathematical knowledge based on Polya's idea of heuristics. In Proofs and Refutations, Lakatos gave several basic rules for finding proofs and counterexamples to conjectures. He thought that mathematical 'thought experiments' are a valid way to discover mathematical conjectures and proofs. The scientific method has been extremely successful in bringing the world out of medieval thinking, especially once it was combined with industrial processes. However, when the scientific method employs statistics as part of its arsenal, there are mathematical and practical issues that can have a deleterious effect on the reliability of the output of scientific methods. This is described in a popular 2005 scientific paper "Why Most Published Research Findings Are False" by John Ioannidis. The particular points raised are statistical ("The smaller the studies conducted in a scientific field, the less likely the research findings are to be true" and "The greater the flexibility in designs, definitions, outcomes, and analytical modes in a scientific field, the less likely the research findings are to be true.") and economical ("The greater the financial and other interests and prejudices in a scientific field, the less likely the research findings are to be true" and "The hotter a scientific field (with more scientific teams involved), the less likely the research findings are to be true.") Hence: "Most research findings are false for most research designs and for most fields" and "As shown, the majority of modern biomedical research is operating in areas with very low pre- and poststudy probability for true findings." However: "Nevertheless, most new discoveries will continue to stem from hypothesis-generating research with low or very low pre-study odds," which means that *new* discoveries will come from research that, when that research started, had low or very low odds (a low or very low chance) of succeeding. Hence, if the scientific method is used to expand the frontiers of knowledge, research into areas that are outside the mainstream will yield most new discoveries. ^ Newton, Issac (1999) [1726 (3rd ed.)]. Philosophiæ Naturalis Principia Mathematica [Mathematical Principles of Natural Philosophy]. The Principia: Mathematical Principles of Natural Philosophy. Translated by Cohen, I. Bernard; Whitman, Anne; Budenz, Julia. Includes "A Guide to Newton's Principia" by I. Bernard Cohen, pp. 1–370. (The Principia itself is on pp. 371–946). Berkeley, CA: University of California Press. 791–96 ("Rules of Reasoning in Philosophy"); see also Philosophiæ Naturalis Principia Mathematica#Rules of Reasoning in Philosophy. ISBN 978-0-520-08817-7. ^ Oxford English Dictionary. OED Online (3rd ed.). Oxford: Oxford University Press. 2014. (Subscription required (help)). ^ Garland, Jr., Theodore (20 March 2015). "The Scientific Method as an Ongoing Process". UC Riverside. Archived from the original on 19 August 2016. ^ a b c Peirce, Charles Sanders (1908). "A Neglected Argument for the Reality of God" . Hibbert Journal. 7: 90–112 – via Wikisource. with added notes. Reprinted with previously unpublished part, Collected Papers v. 6, paragraphs 452–85, The Essential Peirce v. 2, pp. 434–50, and elsewhere. ^ See, for example, Galileo 1638. His thought experiments disprove Aristotle's physics of falling bodies, in Two New Sciences. ^ Gauch, Hugh G. (2003). Scientific Method in Practice (Reprint ed.). Cambridge University Press. p. 3. ISBN 978-0-521-01708-4. The scientific method 'is often misrepresented as a fixed sequence of steps,' rather than being seen for what it truly is, 'a highly variable and creative process' (AAAS 2000:18). The claim here is that science has general principles that must be mastered to increase productivity and enhance perspective, not that these principles provide a simple and automated sequence of steps to follow. ^ Smolin, Lee (May 2013). "There is No Scientific Method". Retrieved 2016-06-07. ^ Nola, Robert; Sankey, Howard (2001). "Chapter 1: A Selective Survey of Theories of Scientific Method". In Nola, Robert; Sankey, Howard. After Popper, Kuhn and Feyerabend. Recent Issues in Theories of Scientific Method. Kluwer. p. 1. ISBN 978-1-4020-0246-5. ^ Jim Al-Khalili (4 January 2009). "The 'first true scientist'". BBC News. ^ Tracey Tokuhama-Espinosa (2010). Mind, Brain, and Education Science: A Comprehensive Guide to the New Brain-Based Teaching. W.W. Norton & Company. p. 39. ISBN 978-0-393-70607-9. Alhazen (or Al-Haytham; 965–1039 CE) was perhaps one of the greatest physicists of all times and a product of the Islamic Golden Age or Islamic Renaissance (7th–13th centuries). He made significant contributions to anatomy, astronomy, engineering, mathematics, medicine, ophthalmology, philosophy, physics, psychology, and visual perception and is primarily attributed as the inventor of the scientific method, for which author Bradley Steffens (2006) describes him as the "first scientist". ^ Peirce, C.S., Collected Papers v. 1, paragraph 74. ^ Albert Einstein, "On the Method of Theoretical Physics", in Essays in Science (Dover, 2009 ), pp. 12–21. ^ a b c d Thurs, Daniel (2011). "12. Scientific Methods". In Shank, Michael; Numbers, Ronald; Harrison, Peter. Wrestling with Nature: From Omens to Science. Chicago: University of Chicago Press. pp. 307–36. ISBN 978-0-226-31783-0. ^ a b Achinstein, Peter (2004). General Introduction. Science Rules: A Historical Introduction to Scientific Methods. Johns Hopkins University Press. pp. 1–5. ISBN 978-0-8018-7943-2. ^ Thurs, Daniel P. (2015), "That the scientific method accurately reflects what scientists actually do", in Numbers, Ronald L.; Kampourakis, Kostas, Newton's Apple and Other Myths about Science, Harvard University Press, pp. 210–18, ISBN 978-0-674-91547-3, It's probably best to get the bad news out of the way first, the so-called scientific method is a myth.… If typical formulations were accurate, the only location true science would be taking place in would be grade-school classrooms. ^ a b c Peirce, Charles Sanders (1877). "The Fixation of Belief" . Popular Science Monthly. 12: 1–15 – via Wikisource. .
^ Gauch 2003, p. 1 The scientific method can function in the same way; This is the principle of noncontradiction. ^ Francis Bacon(1629) New Organon, lists 4 types of error: Idols of the tribe (error due to the entire human race), the cave (errors due to an individual's own intellect), the marketplace (errors due to false words), and the theater (errors due to incredulous acceptance). ... [rational] inquiry of every type, fully carried out, has the vital power of self-correction and of growth. This is a property so deeply saturating its inmost nature that it may truly be said that there is but one thing needful for learning the truth, and that is a hearty and active desire to learn what is true. ^ For example, the concept of falsification (first proposed in 1934) formalizes the attempt to disprove hypotheses rather than prove them. Karl R. Popper (1963), 'The Logic of Scientific Discovery'. The Logic of Scientific Discovery pp. 17–20, 249–52, 437–38, and elsewhere. Leon Lederman, for teaching physics first, illustrates how to avoid confirmation bias: Ian Shelton, in Chile, was initially skeptical that supernova 1987a was real, but possibly an artifact of instrumentation (null hypothesis), so he went outside and disproved his null hypothesis by observing SN 1987a with the naked eye. The Kamiokande experiment, in Japan, independently observed neutrinos from SN 1987a at the same time. ^ Lindberg 2007, pp. 2–3: "There is a danger that must be avoided. ... If we wish to do justice to the historical enterprise, we must take the past for what it was. And that means we must resist the temptation to scour the past for examples or precursors of modern science. ...My concern will be with the beginnings of scientific theories, the methods by which they were formulated, and the uses to which they were put; ... "
^ Alhazen argued the importance of forming questions and subsequently testing them: "How does light travel through transparent bodies? Light travels through transparent bodies in straight lines only.... We have explained this exhaustively in our Book of Optics. But let us now mention something to prove this convincingly: the fact that light travels in straight lines is clearly observed in the lights which enter into dark rooms through holes.... [T]he entering light will be clearly observable in the dust which fills the air. – Alhazen, Treatise on Light (رسالة في الضوء), translated into English from German by M. Schwarz, from "Abhandlung über das Licht", J. Baarmann (editor and translator from Arabic to German, 1882) Zeitschrift der Deutschen Morgenländischen Gesellschaft Vol 36 as quoted in Sambursky 1974, p. 136. He demonstrated his conjecture that "light travels through transparent bodies in straight lines only" by placing a straight stick or a taut thread next to the light beam, as quoted in Sambursky 1974, p. 136 to prove that light travels in a straight line. ^ "The optics of Giovan Battista della Porta (1535–1615): a reassessment. Workshop at Technical University of Berlin, 24–25 October 2014" (PDF). ^ Kepler, Johannes (1604) Ad Vitellionem paralipomena, quibus astronomiae pars opticae traditur (Supplements to Witelo, in which the optical part of astronomy is treated) as cited in Smith, A. Mark (1 January 2004). "What Is the History of Medieval Optics Really about?". Proceedings of the American Philosophical Society. 148 (2): 180–94. JSTOR 1558283. PMID 15338543. The full title translation is from p. 60 of James R. Voelkel (2001) Johannes Kepler and the New Astronomy Oxford University Press. Kepler was driven to this experiment after observing the partial solar eclipse at Graz, July 10, 1600. He used Tycho Brahe's method of observation, which was to project the image of the Sun on a piece of paper through a pinhole aperture, instead of looking directly at the Sun. He disagreed with Brahe's conclusion that total eclipses of the Sun were impossible, because there were historical accounts of total eclipses. Instead he deduced that the size of the aperture controls the sharpness of the projected image (the larger the aperture, the more accurate the image – this fact is now fundamental for optical system design). Voelkel, p. 61, notes that Kepler's experiments produced the first correct account of vision and the eye, because he realized he could not accurately write about astronomical observation by ignoring the eye. ^ ...an approach which was advocated by Galileo in 1638 with the publication of Two New Sciences. Galilei, Galileo (1638), Discorsi e Dimonstrazioni Matematiche, intorno a due nuoue scienze, Leida: Apresso gli Elsevirri, ISBN 978-0-486-60099-4 , Dover reprint of the 1914 Macmillan translation by Henry Crew and Alfonso de Salvio of Two New Sciences, Galileo Galilei Linceo (1638). Additional publication information is from the collection of first editions of the Library of Congress surveyed by Bruno 1989, pp. 261–64. ^ Godfrey-Smith 2003 p. 236. ^ Staddon, J. (2017) Scientific Method: How science works, fails to work or pretends to work. Taylor and Francis. ^ Schuster and Powers (2005), Translational and Experimental Clinical Research, Ch. 1. Link. This chapter also discusses the different types of research questions and how they are produced. ^ This phrasing is attributed to Marshall Nirenberg. ^ October 1951, as noted in McElheny 2004, p. 40:"That's what a helix should look like!" Crick exclaimed in delight (This is the Cochran-Crick-Vand-Stokes theory of the transform of a helix). ^ June 1952, as noted in McElheny 2004, p. 43: Watson had succeeded in getting X-ray pictures of TMV showing a diffraction pattern consistent with the transform of a helix. ^ a b – Cochran W, Crick FHC and Vand V. (1952) "The Structure of Synthetic Polypeptides. I. The Transform of Atoms on a Helix", Acta Crystallogr., 5, 581–86. ^ a b Friday, January 30, 1953. Tea time, as noted in McElheny 2004, p. 52: Franklin confronts Watson and his paper – "Of course it [Pauling's pre-print] is wrong. DNA is not a helix." However, Watson then visits Wilkins' office, sees photo 51, and immediately recognizes the diffraction pattern of a helical structure. But additional questions remained, requiring additional iterations of their research. For example, the number of strands in the backbone of the helix (Crick suspected 2 strands, but cautioned Watson to examine that more critically), the location of the base pairs (inside the backbone or outside the backbone), etc. One key point was that they realized that the quickest way to reach a result was not to continue a mathematical analysis, but to build a physical model. ^ a b "The instant I saw the picture my mouth fell open and my pulse began to race." – Watson 1968, p. 167 Page 168 shows the X-shaped pattern of the B-form of DNA, clearly indicating crucial details of its helical structure to Watson and Crick. McElheny 2004 p. 52 dates the Franklin-Watson confrontation as Friday, January 30, 1953. Later that evening, Watson urges Wilkins to begin model-building immediately. But Wilkins agrees to do so only after Franklin's departure. ^ a b Saturday, February 28, 1953, as noted in McElheny 2004, pp. 57–59: Watson found the base pairing mechanism which explained Chargaff's rules using his cardboard models. ^ "Reconstruction of Galileo Galilei's experiment – the inclined plane" (PDF). ^ In Two new sciences, there are three 'reviewers': Simplicio, Sagredo, and Salviati, who serve as foil, antagonist, and protagonist. Galileo speaks for himself only briefly. But note that Einstein's 1905 papers were not peer reviewed before their publication. ^ "NIH Data Sharing Policy." ^ Tow, David Hunter (2010-09-11). The Future of Life: A Unified Theory of Evolution. Future of Life Series. Future of Life Media (published 2010). p. 262. Retrieved 2016-12-11. On further examination however, the scientific method bears a striking similarity to the larger process of evolution itself. [...] Of great significance is the evolutionary algorithm, which uses a simplified subset of the process of natural evolution applied to find the solution to problems that are too complex to solve by traditional analytic methods. In essence it is a process of accelerated and rigorous trial and error building on previous knowledge to refine an existing hypothesis, or discarding it altogether to find a better model. [...] The evolutionary algorithm is a technique derived from the evolution of knowledge processing applied within the context of science and technology, itself an outcome of evolution. The scientific method continues to evolve through adaptive reward, trial and error and application of the method to itself. ^ Hall, B.K. ; Hallgrímsson, B., eds. (2008). Strickberger's Evolution (4th ed.). Jones & Bartlett. p. 762. ISBN 978-0-7637-0066-9. Archived from the original on 2012-06-28. ^ Cracraft, J.; Donoghue, M.J., eds. (2005). Assembling the tree of life. Oxford University Press. p. 592. ISBN 978-0-19-517234-8. ^ Needham & Wang 1954 p. 166 shows how the 'flying gallop' image propagated from China to the West. ^ Imre Lakatos (1976), Proofs and Refutations. Taleb 2007, p. 72 lists ways to avoid the narrative fallacy and confirmation bias. ^ Godfrey-Smith, Peter (2009). Theory and Reality: An Introduction to the Philosophy of Science. Chicago: University of Chicago Press. ISBN 978-0-226-30062-7. ^ Brody, Thomas A. (1993). The Philosophy Behind Physics. Berlin; New York: Springer-Verlag. ISBN 978-3-540-55914-6. ^ Kuhn, Thomas S. (2012). The Structure of Scientific Revolutions (50th Anniversary ed.). Chicago: University of Chicago Press. ISBN 978-0-226-45811-3. Retrieved 29 January 2018. ^ Galison, Peter (1987). How Experiments End. Chicago: University of Chicago Press. ISBN 978-0-226-27915-2. Retrieved 29 January 2018. ^ "To raise new questions, new possibilities, to regard old problems from a new angle, requires creative imagination and marks real advance in science." – Einstein & Infeld 1938, p. 92. ^ Andreas Vesalius, Epistola, Rationem, Modumque Propinandi Radicis Chynae Decocti (1546), 141. Quoted and translated in C.D. O'Malley, Andreas Vesalius of Brussels, (1964), 116. As quoted by Bynum & Porter 2005, p. 597: Andreas Vesalius, 597#1. ^ Einstein, Albert (1949). The World as I See It. New York: Philosophical Library. pp. 24–28. ^ Glen 1994, pp. 37–38. ^ McElheny 2004, pp. 49–50: January 28, 1953 – Watson read Pauling's pre-print, and realized that in Pauling's model, DNA's phosphate groups had to be un-ionized. But DNA is an acid, which contradicts Pauling's model. ^ June 1952. as noted in McElheny 2004, p. 43: Watson had succeeded in getting X-ray pictures of TMV showing a diffraction pattern consistent with the transform of a helix. ^ McElheny 2004 p. 68: Nature April 25, 1953. ^ In March 1917, the Royal Astronomical Society announced that on May 29, 1919, the occasion of a total eclipse of the sun would afford favorable conditions for testing Einstein's General theory of relativity. One expedition, to Sobral, Ceará, Brazil, and Eddington's expedition to the island of Principe yielded a set of photographs, which, when compared to photographs taken at Sobral and at Greenwich Observatory showed that the deviation of light was measured to be 1.69 arc-seconds, as compared to Einstein's desk prediction of 1.75 arc-seconds. – Antonina Vallentin (1954), Einstein, as quoted by Samuel Rapport and Helen Wright (1965), Physics, New York: Washington Square Press, pp. 294–95. ^ Mill, John Stuart, "A System of Logic", University Press of the Pacific, Honolulu, 2002, ISBN 1-4102-0252-6. ^ al-Battani, De Motu Stellarum translation from Arabic to Latin in 1116, as cited by "Battani, al-" (c. 858–929) Encyclopædia Britannica, 15th. ed. 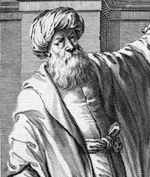 Al-Battani is known for his accurate observations at al-Raqqah in Syria, beginning in 877. His work includes measurement of the annual precession of the equinoxes. ^ McElheny 2004 p. 53: The weekend (January 31 – February 1) after seeing photo 51, Watson informed Bragg of the X-ray diffraction image of DNA in B form. Bragg gave them permission to restart their research on DNA (that is, model building). ^ McElheny 2004 p. 54: On Sunday February 8, 1953, Maurice Wilkes gave Watson and Crick permission to work on models, as Wilkes would not be building models until Franklin left DNA research. ^ McElheny 2004 p. 56: Jerry Donohue, on sabbatical from Pauling's lab and visiting Cambridge, advises Watson that textbook form of the base pairs was incorrect for DNA base pairs; rather, the keto form of the base pairs should be used instead. This form allowed the bases' hydrogen bonds to pair 'unlike' with 'unlike', rather than to pair 'like' with 'like', as Watson was inclined to model, on the basis of the textbook statements. On February 27, 1953, Watson was convinced enough to make cardboard models of the nucleotides in their keto form. ^ "Suddenly I became aware that an adenine-thymine pair held together by two hydrogen bonds was identical in shape to a guanine-cytosine pair held together by at least two hydrogen bonds. ..." – Watson 1968, pp. 194–97. ^ Aristotle, "Prior Analytics", Hugh Tredennick (trans. ), pp. 181–531 in Aristotle, Volume 1, Loeb Classical Library, William Heinemann, London, 1938. ^ "What one does not in the least doubt one should not pretend to doubt; but a man should train himself to doubt," said Peirce in a brief intellectual autobiography; see Ketner, Kenneth Laine (2009) "Charles Sanders Peirce: Interdisciplinary Scientist" in The Logic of Interdisciplinarity). Peirce held that actual, genuine doubt originates externally, usually in surprise, but also that it is to be sought and cultivated, "provided only that it be the weighty and noble metal itself, and no counterfeit nor paper substitute"; in "Issues of Pragmaticism", The Monist, v. XV, n. 4, pp. 481–99, see p. 484, and p. 491. (Reprinted in Collected Papers v. 5, paragraphs 438–63, see 443 and 451). ^ But see Scientific method and religion. ^ Peirce (1898), "Philosophy and the Conduct of Life", Lecture 1 of the Cambridge (MA) Conferences Lectures, published in Collected Papers v. 1, paragraphs 616–48 in part and in Reasoning and the Logic of Things, Ketner (ed., intro.) and Putnam (intro., comm. ), pp. 105–22, reprinted in Essential Peirce v. 2, pp. 27–41. ^ " ... in order to learn, one must desire to learn ..." – Peirce (1899), "F.R.L." [First Rule of Logic], Collected Papers v. 1, paragraphs 135–40, "Eprint". Archived from the original on January 6, 2012. Retrieved 2012-01-06. ^ a b c Peirce, Charles Sanders (1877). "How to Make Our Ideas Clear" . Popular Science Monthly. 12: 286–302 wslink==How to Make Our Ideas Clear – via Wikisource. ^ Peirce (1878), "The Doctrine of Chances", Popular Science Monthly v. 12, pp. 604–15, see pp. 610–11 via Internet Archive. Reprinted Collected Papers v. 2, paragraphs 645–68, Essential Peirce v. 1, pp. 142–54. "...death makes the number of our risks, the number of our inferences, finite, and so makes their mean result uncertain. The very idea of probability and of reasoning rests on the assumption that this number is indefinitely great. .... ...logicality inexorably requires that our interests shall not be limited. .... Logic is rooted in the social principle." ^ Peirce (c. 1906), "PAP (Prolegomena for an Apology to Pragmatism)" (Manuscript 293, not the like-named article), The New Elements of Mathematics (NEM) 4:319–20, see first quote under "Abduction" at Commens Dictionary of Peirce's Terms. For it is not sufficient that a hypothesis should be a justifiable one. Any hypothesis which explains the facts is justified critically. But among justifiable hypotheses we have to select that one which is suitable for being tested by experiment. Consequently, to discover is simply to expedite an event that would occur sooner or later, if we had not troubled ourselves to make the discovery. Consequently, the art of discovery is purely a question of economics. The economics of research is, so far as logic is concerned, the leading doctrine with reference to the art of discovery. Consequently, the conduct of abduction, which is chiefly a question of heuretic and is the first question of heuretic, is to be governed by economical considerations. ^ Peirce (1903), "Pragmatism – The Logic of Abduction", Collected Papers v. 5, paragraphs 195–205, especially 196. Eprint. Thus, twenty skillful hypotheses will ascertain what 200,000 stupid ones might fail to do. ^ Peirce (1878), "The Probability of Induction", Popular Science Monthly, v. 12, pp. 705–18, see 718 Google Books; 718 via Internet Archive. Reprinted often, including (Collected Papers v. 2, paragraphs 669–93), (The Essential Peirce v. 1, pp. 155–69). ^ Peirce (1905 draft "G" of "A Neglected Argument"), "Crude, Quantitative, and Qualitative Induction", Collected Papers v. 2, paragraphs 755–60, see 759. Find under "Induction" at Commens Dictionary of Peirce's Terms. ^ "James (2003) "Complex Systems Theory?"" (PDF). ^ . Brown, C. (2005) Overcoming Barriers to Use of Promising Research Among Elite Middle East Policy Groups, Journal of Social Behaviour and Personality, Select Press. ^ Smaldino, PE; McElreath, R. (2016-09-21). "The natural selection of bad science". R. Soc. Open Sci. 3 (9): 160384. arXiv:1605.09511. Bibcode:2016RSOS....360384S. doi:10.1098/rsos.160384. PMC 5043322. PMID 27703703. ^ Kuhn, Thomas S., "The Function of Measurement in Modern Physical Science", ISIS 52(2), 161–93, 1961. ^ Feyerabend, Paul K., Against Method, Outline of an Anarchistic Theory of Knowledge, 1st published, 1975. Reprinted, Verso, London, 1978. ^ (Karin), Knorr-Cetina, K. (1999). Epistemic cultures : how the sciences make knowledge. Cambridge, Mass. : Harvard University Press. ISBN 978-0-674-25893-8. OCLC 39539508. ^ a b c Dunbar, K., & Fugelsang, J. (2005). Causal thinking in science: How scientists and students interpret the unexpected. In M.E. Gorman, R.D. Tweney, D. Gooding & A. Kincannon (Eds. ), Scientific and Technical Thinking (pp. 57–79). Mahwah, NJ: Lawrence Erlbaum Associates. ^ a b Oliver, J.E. (1991) Ch2. of The incomplete guide to the art of discovery. New York: Columbia University Press. ^ "When we are working intensively, we feel keenly the progress of our work; we are elated when our progress is rapid, we are depressed when it is slow." – the mathematician Pólya 1957, p. 131 in the section on 'Modern heuristic'. ^ "Philosophy [i.e., physics] is written in this grand book – I mean the universe – which stands continually open to our gaze, but it cannot be understood unless one first learns to comprehend the language and interpret the characters in which it is written. It is written in the language of mathematics, and its characters are triangles, circles, and other geometrical figures, without which it is humanly impossible to understand a single word of it; without these, one is wandering around in a dark labyrinth." – Galileo Galilei, Il Saggiatore (The Assayer, 1623), as translated by Stillman Drake (1957), Discoveries and Opinions of Galileo pp. 237–38, as quoted by di Francia 1981, p. 10. ^ Pólya 1957 2nd ed. ^ George Pólya (1954), Mathematics and Plausible Reasoning Volume II: Patterns of Plausible Reasoning. ^ Ioannidis, John P.A. (2005-08-01). "Why Most Published Research Findings Are False". PLoS Medicine. 2 (8): e124. doi:10.1371/journal.pmed.0020124. ISSN 1549-1277. PMC 1182327. PMID 16060722. Bynum, W.F. ; Porter, Roy (2005), Oxford Dictionary of Scientific Quotations, Oxford, ISBN 978-0-19-858409-4 .
di Francia, G. Toraldo (1981), The Investigation of the Physical World, Cambridge University Press, ISBN 978-0-521-29925-1 . Feynman, Richard (1965), The Character of Physical Law, Cambridge: M.I.T. Press, ISBN 978-0-262-56003-0 . Galileo (1638), Two New Sciences, Leiden: Lodewijk Elzevir, ISBN 978-0-486-60099-4 Translated from Italian to English in 1914 by Henry Crew and Alfonso de Salvio. Introduction by Antonio Favaro. xxv+300 pages, index. New York: Macmillan, with later reprintings by Dover. Glen, William (ed.) (1994), The Mass-Extinction Debates: How Science Works in a Crisis, Stanford, CA: Stanford University Press, ISBN 978-0-8047-2285-8 CS1 maint: Extra text: authors list (link). Godfrey-Smith, Peter (2003), Theory and Reality: An introduction to the philosophy of science, University of Chicago Press, ISBN 978-0-226-30063-4 . Goldhaber, Alfred Scharff; Nieto, Michael Martin (January–March 2010), "Photon and graviton mass limits", Rev. Mod. Phys., 82 (1): 939–79, arXiv:0809.1003, Bibcode:2010RvMP...82..939G, doi:10.1103/RevModPhys.82.939 . pp. 939–79. Jevons, William Stanley (1874), The Principles of Science: A Treatise on Logic and Scientific Method, Dover Publications, ISBN 978-1-4304-8775-3 . 1877, 1879. Reprinted with a foreword by Ernst Nagel, New York, 1958. Kuhn, Thomas S. (1962), The Structure of Scientific Revolutions, Chicago, IL: University of Chicago Press . 2nd edition 1970. 3rd edition 1996. Lindberg, David C. (2007), The Beginnings of Western Science, University of Chicago Press 2nd edition 2007. McElheny, Victor K. (2004), Watson & DNA: Making a scientific revolution, Basic Books, ISBN 978-0-7382-0866-4 . Moulton, Forest Ray; Schifferes, Justus J. (eds., Second Edition) (1960), The Autobiography of Science, Doubleday . Newton, Isaac (1999) [1687, 1713, 1726], Philosophiae Naturalis Principia Mathematica, University of California Press, ISBN 978-0-520-08817-7 , Third edition. From I. Bernard Cohen and Anne Whitman's 1999 translation, 974 pages. Ørsted, Hans Christian (1997), Selected Scientific Works of Hans Christian Ørsted, Princeton, ISBN 978-0-691-04334-0 . Translated to English by Karen Jelved, Andrew D. Jackson, and Ole Knudsen, (translators 1997). Peirce, C.S. – see Charles Sanders Peirce bibliography. Popper, Karl R. (1959), The Logic of Scientific Discovery 1934, 1959. Sambursky, Shmuel (ed.) (1974), "Physical Thought from the Presocratics to the Quantum Physicists", Physics Today, Pica Press, 29 (2): 51–53, Bibcode:1976PhT....29b..51S, doi:10.1063/1.3023315, ISBN 978-0-87663-712-8 CS1 maint: Extra text: authors list (link). Sanches, Francisco; Limbrick, Elaine. Introduction, Notes, and Bibliography; Thomson, Douglas F.S. Latin text established, annotated, and translated. (1988), That Nothing is Known, Cambridge: Cambridge University Press, ISBN 978-0-521-35077-8 Critical edition. Watson, James D. (1968), The Double Helix, New York: Atheneum, Library of Congress card number 68-16217 . Beveridge, William I.B., The Art of Scientific Investigation, Heinemann, Melbourne, Australia, 1950. Crick, Francis (1988), What Mad Pursuit: A Personal View of Scientific Discovery, New York: Basic Books, ISBN 978-0-465-09137-9 . Fraassen, Bas C. van, The Scientific Image, Oxford University Press, Oxford, 1980. Franklin, James (2009), What Science Knows: And How It Knows It, New York: Encounter Books, ISBN 978-1-59403-207-3 . Hacking, Ian, Representing and Intervening, Introductory Topics in the Philosophy of Natural Science, Cambridge University Press, Cambridge, 1983. Heisenberg, Werner, Physics and Beyond, Encounters and Conversations, A.J. Pomerans (trans. ), Harper and Row, New York, 1971, pp. 63–64. Karin Knorr Cetina, Knorr Cetina, Karin (1999). Epistemic cultures: how the sciences make knowledge. Cambridge, Massachusetts: Harvard University Press. ISBN 978-0-674-25894-5. Losee, John, A Historical Introduction to the Philosophy of Science, Oxford University Press, Oxford, 1972. 2nd edition, 1980. Maxwell, Nicholas, Understanding Scientific Progress, Paragon House, St. Paul, Minnesota, 2017. McCarty, Maclyn (1985), The Transforming Principle: Discovering that genes are made of DNA, New York: W.W. Norton, p. 252, ISBN 978-0-393-30450-3 . Memoir of a researcher in the Avery–MacLeod–McCarty experiment. McComas, William F., ed. "The Principal Elements of the Nature of Science: Dispelling the Myths" (PDF). (189 KB), from The Nature of Science in Science Education, pp. 53–70, Kluwer Academic Publishers, Netherlands 1998. Misak, Cheryl J., Truth and the End of Inquiry, A Peircean Account of Truth, Oxford University Press, Oxford, 1991. Shimony, Abner, Search for a Naturalistic World View: Vol. 1, Scientific Method and Epistemology, Vol. 2, Natural Science and Metaphysics, Cambridge University Press, Cambridge, 1993. Ziman, John (2000). Real Science: what it is, and what it means. Cambridge: Cambridge University Press. Wikimedia Commons has media related to Scientific method. Andersen, Anne; Hepburn, Brian. "Scientific Method". In Zalta, Edward N. Stanford Encyclopedia of Philosophy. "Confirmation and Induction". Internet Encyclopedia of Philosophy.